Well I’m now at that point where little miss is only a few weeks away from her due date. So I have been very busy trying to get ready as well as juggling a little man who is desperate to start at pre-school next week. I think we will both enjoy him going! 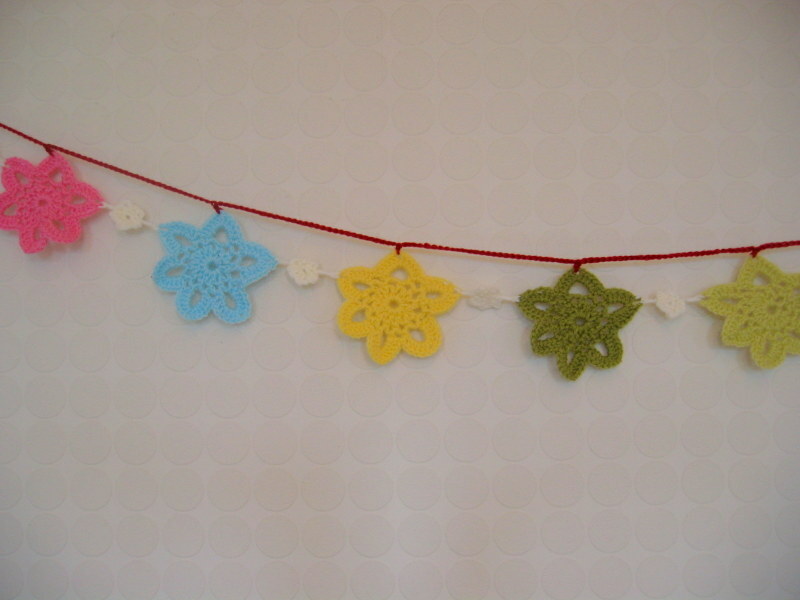 You can’t see it too clearly but I decided to crochet the little flowers in between the stars rather than hanging them from them. I also decided to join the stars at one point rather than two. I chose bright colours as I want to cheer up the nursery (which has a lot of lovely white furniture in!). I think the yellow flower is my favourite though. It really reminds me of spring! Here’s a close up. 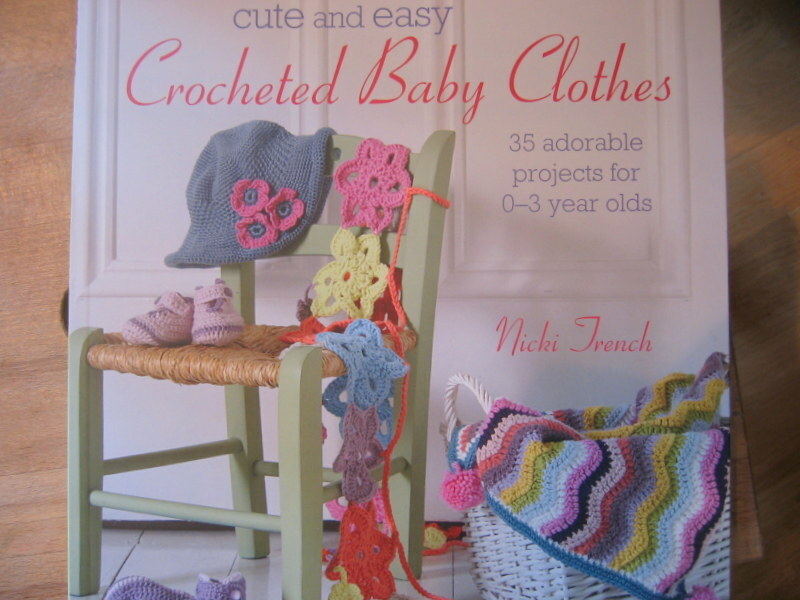 The stars themselves were really quick to crochet as there are only a few rounds to work. When it came to joining the flowers and the stars I did have to play a little bit until I got the effect I wanted. 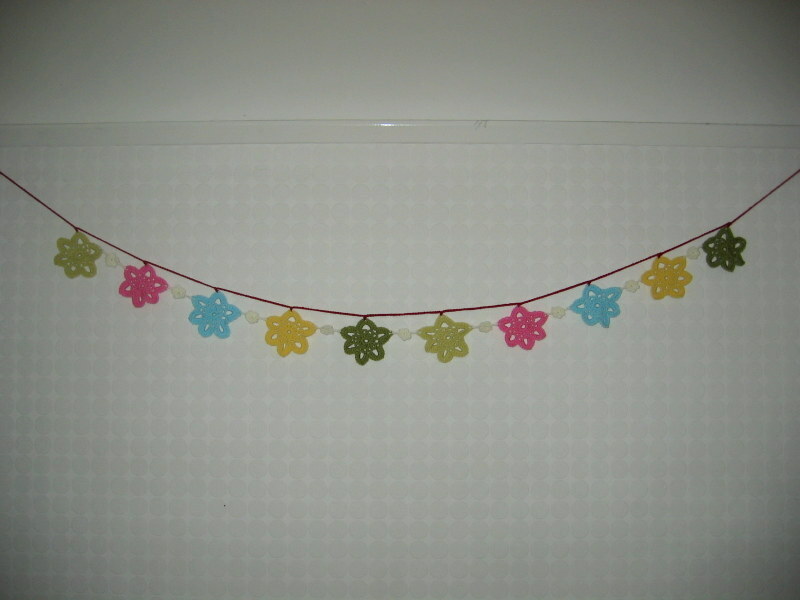 What I did was join the white yarn to the point on the star that I wanted to join. I then chained 8 (4 of those make the base ring for the flower). 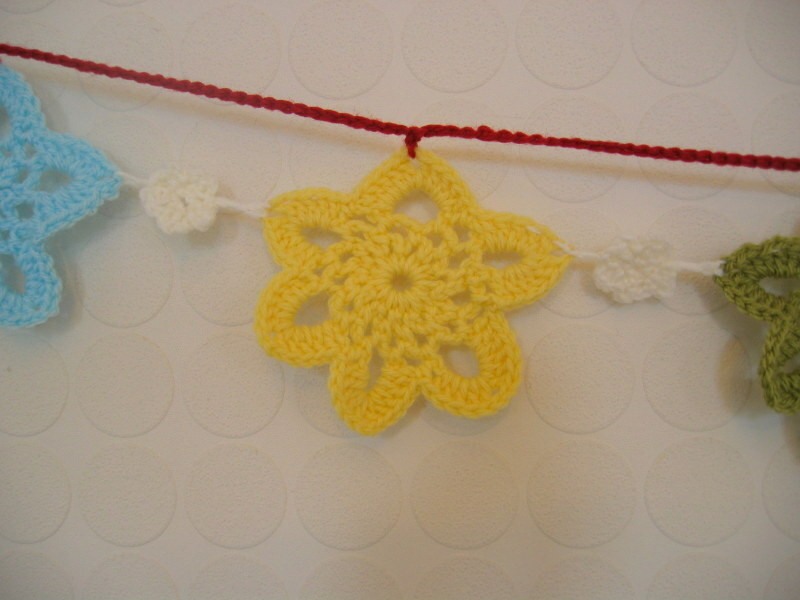 I then started making the flower however with this change; when it got to the petal round, rather than slipping the second slip stitch of the second petal, into the next dc (UK terminology), I slipped it into the third chain from the star, then slipped that into the next dc (this anchored the flower to the chain). When I finished that round, I chained two and dc it toe the next star. The only other change I made was to join the stars to the red chain at the top with a treble rather than a dc. Over all I’m really pleased with the result and I can’t wait to put it up in the nursery! 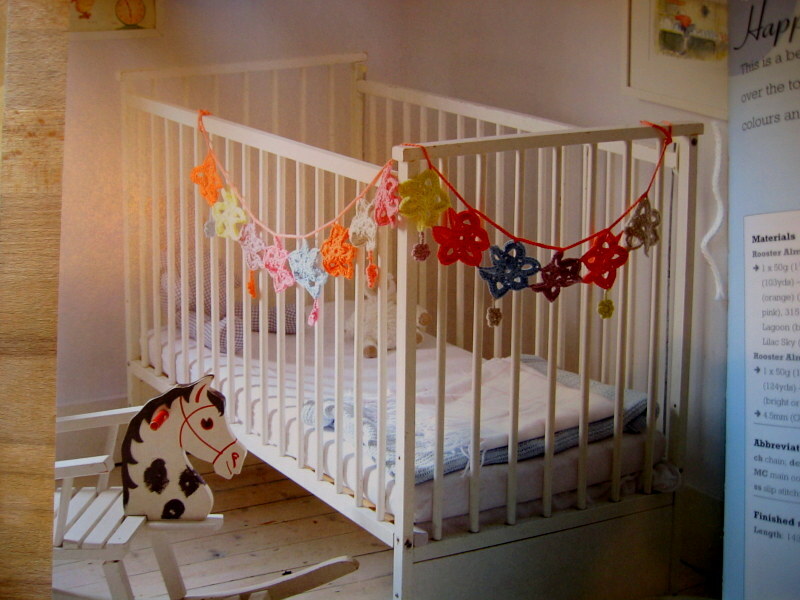 Your little miss is a lucky girl, her nursery is beautiful! Good luck for the next few weeks, how exciting for you!